If your American passport’s been lost or stolen, take a deep breath. Writer and Paris blogger Ann Mah has taken the guesswork out of the process with this informative post (originally posted on her site annmah.net). Many thanks to Ann for allowing us to repost. And be sure to check out Ann’s new book, Mastering the Art of French Eating which is getting rave reviews. It’s the perfect gift for your favorite Francophile (including you.) Did I mention the recipes? After my passport was stolen a few weeks ago, I went to the U.S. Embassy in Paris to replace it. (Though my husband is a Foreign Service Officer, his assignment in Paris ended last year, and I visited as an ordinary American citizen.) 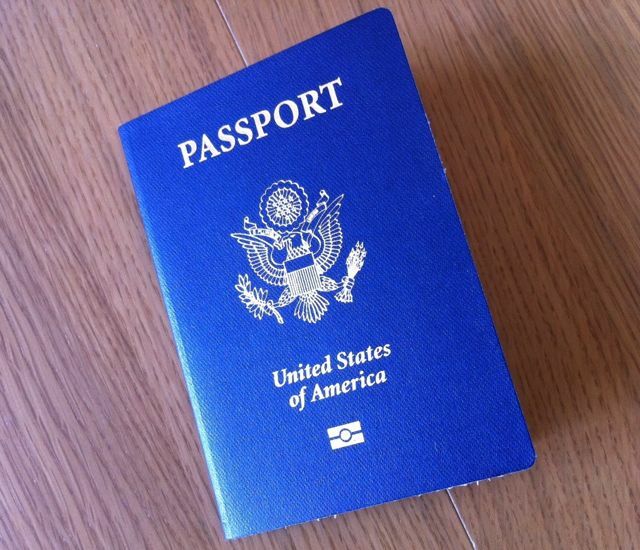 A lot of people are intimidated by the American Embassy — and it is a bit of a fortress — so I thought I’d share a few tips to smooth your path in case you need to urgently replace your passport in Paris. Learn from my mistakes, friends! Report it to the French police. This will probably take hours, but it helps guard against passport fraud and/or identity theft. Also, I found the gendarmes extremely kind, sympathetic (and one of them was pretty cute). Bring your forms, completed in advance. Go to the U.S. passport services page. (Really, I cannot emphasize this enough.) It will tell you which documents you need and give links to the forms, which you can print and complete in advance. You can also fill out and print the forms on computers at the embassy, but the system there is not reliable (I had trouble printing, for example) and I got yelled at when I asked for help. Bring your wallet. You will be charged for your new passport. They take Euros, US dollars, and credit cards, including American Express. Bring lots of loose change — specifically one- or two-Euro coins. If you are applying for an emergency passport, you can take the photos at the embassy, but the photo booth only accepts change and on the day of my visit the change machine was out of service. Loose change is also handy in case you want to buy a snack or coffee from the vending machine. Bring something to read to pass the time — a book or magazine. There will be a lot of waiting. You cannot take your passport photos at the embassy. Instead, take them before your visit — I recommend the day before. Photo Madeleine — a five-minute walk from the embassy (41 rue Boissy d’Anglas, 8e) — shoots photos that meet the required regulations. Also, bring a pre-paid Colissimo envelope. The embassy will ask you for this so they can send your new passport back to you. You can buy the envelopes at the Concorde métro station. The embassy also sells them via vending machine, but they cost €25, the vending machine only takes change, and the change machine was out of service the day of my visit. Make sure to arrive at 8.30 am, or slightly earlier. You’ll wait in line to go through security. You cannot bring your cell phone, i-Pad, laptop, or any electronic equipment into the building, but you can check them at the guard hut. I also had to check my Kindle, which made me very sad as it was my only form of entertainment. Don’t bring a Kindle. Be prepared to spend several hours at the embassy. I arrived at 8.30 am and didn’t leave until after 12 noon. The lines are long, especially on a Monday, when everyone who has lost their passport over the weekend applies for a new one. The good news is, I found my fellow passport theft victims to be extremely friendly and chatty and their stories of being robbed on trains and in markets were fascinating cautionary tales. I also thought the Embassy personnel was also very professional and polite (except for the woman who got testy with me about the printer). Don’t expect to receive your passport immediately. If your flight is scheduled for the same day, change it to the next. I saw a woman in tears because she hadn’t changed her flight –even though she’d read the website, (which clearly states “we cannot guarantee that we can issue a passport in time for same-day travel”) she didn’t believe it. Believe it. There is a clean bathroom. If you have a question, ask a security guard. There are a few of them wandering around the waiting area. I found them all very friendly and helpful. With any luck, your emergency passport will be ready the same (or next) day and you’ll be able to go home, a smarter traveler with a good story under your belt. This entry was posted in Legalities, Safety and Security. Bookmark the permalink.